1. Jobs are available - There is an ever increasing demand for skilled workers. The key word here is SKILLED. You need to learn your craft from the pros. 2. Skilled carpenters are paid more - with the skills you learn at ACCI you bring to your employer a value they are willing to pay more for. 3. ACCI helps you build a meaningful and life-long career. Learning job skills are just the beginning. As you gain experience new opportunities will emerge like foreman, project manager, and supervisor. ACCI - Advanced Commercial Construction Institute is a hands-on commercial construction school where you will learn advanced commercial construction skills such as metal framing, drywall, exterior sheathing, steel studs, installing metal doors, operating lifts, safety and many other commercial construction skills taught 1-on1 by our qualified instructors in an intensive 5 week commercial construction training program. 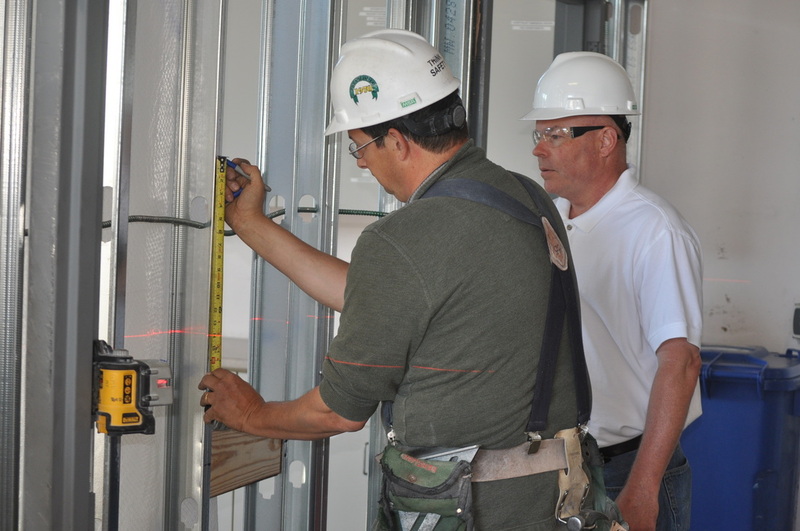 Advanced Commercial Construction Institute (ACCI) is a premier hands-on Technical Training School specializing in accelerated Commercial Construction programs featuring a state of the art training facility and a low teacher to student ratio. Our teachers work 1-on-1 with each student to maximize each individual’s highest potential.